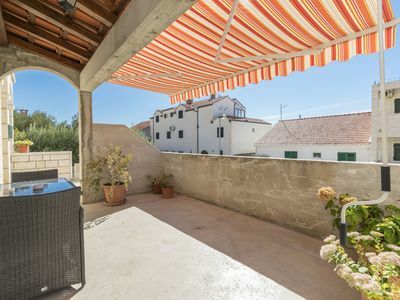 The apartment Ballio Nr.1 for 4 persons is located on the ground floor of the residential house Casa Fiorita. 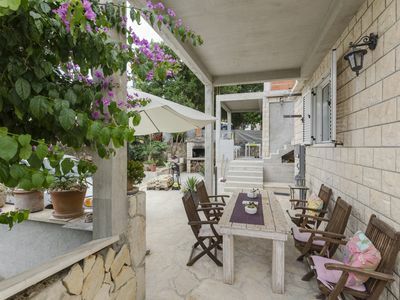 Casa Fiorita is just 350 meters from the beach and the hotel complex Zelena Laguna. The apartment has two bedrooms, kitchen, living room and bathroom with shower. From the kitchen is access to the terrace where there is a table with seat furniture. One room has a double bed and the second room has three single beds. 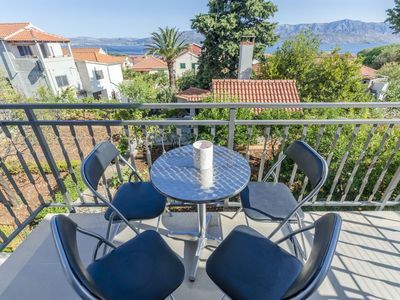 The rental price includes: Wi-Fi, air conditioning, bed linen, towels and parking. 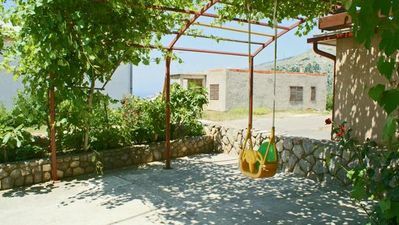 Apartment Balio No.1 is ideal for families with small children. 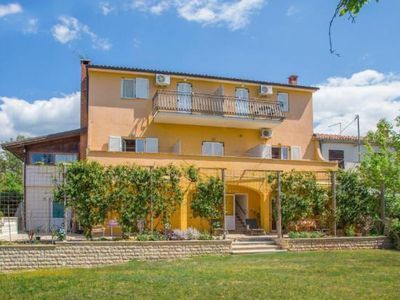 Casa Fiorita is a family house located in the village of Molindrio at the entrance of a tourist hotel complex Zelena Laguna. The house is loazted cca. 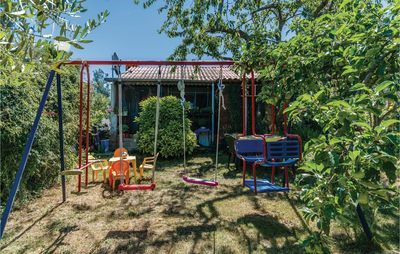 350 meters from the beach. Just 200 meters from the house is opened a new amusement park Aquacolors. 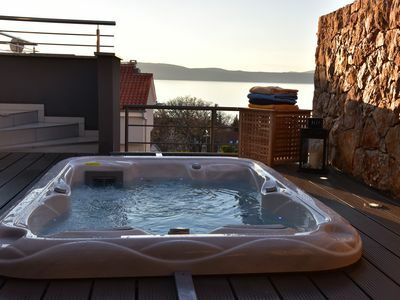 The house has 7 apartments for 2-4 persons. The apartments on the second floor have a nice view of the sea and Zelena Laguna. 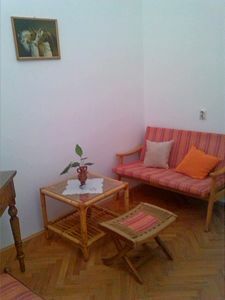 All apartments are air-conditioned and simply furnished, according to the taste of the owner. Guests benefit from free Wi-Fi, parking, barbecue and common laundry room.